This is a sentence that has altered my outlook on how children progress in school. I remember hearing Jeff Sandefer, co-founder of Acton Academy, mention this in a discussion about taking the focus off of “learning progress” when a child really needs support in other areas. These areas might be emotion regulation, how to burn off a high level of energy without distracting others, confidence, developing self-discipline, or overcoming difficult life situations. I remember reading Jeff’s comment and staring, thinking: what?! A child will learn better when you back off from pushing them forward? I suppose this question looks obvious when we really examine it. Children have an innate desire to learn and a natural drive to be curious. It makes sense that fanning the flames of these internal forces happens through support rather than pulling them through material at a pace they don’t choose or doesn’t fit them. 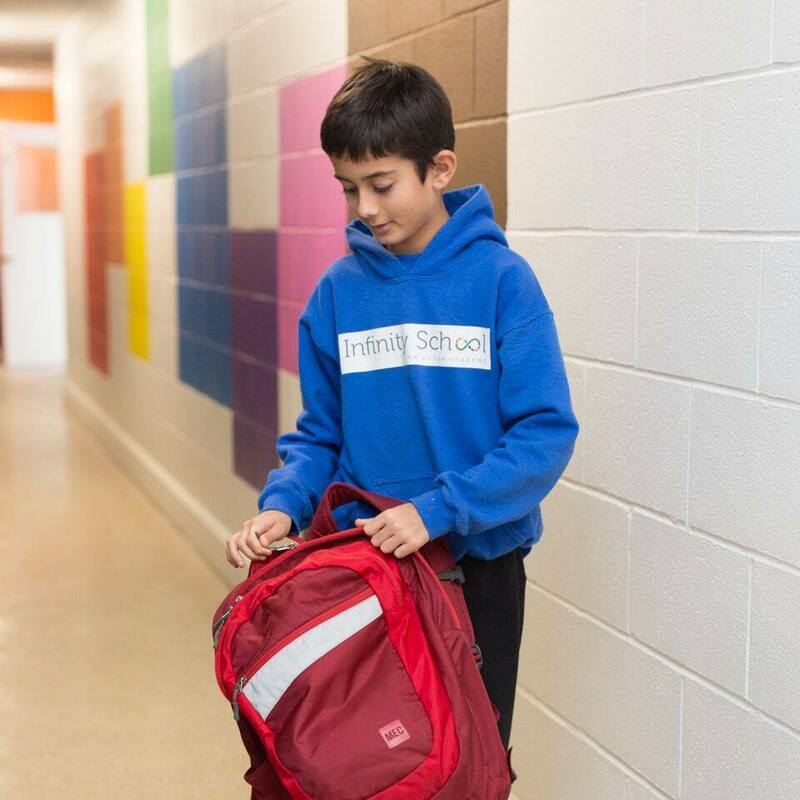 In our Infinity School program (an Acton Academy affiliate) we are discovering firsthand what happens when adults truly step aside and take on the role of support-provider rather than curriculum taskmaster. The discovery we are making in our third year of operation is that trusting the process is actually working. One of our student’s stories is particularly interesting. This child came to us at age seven after being in public school for two years, then homeschooled for one (story shared with permission). This young person wanted to build, create, run around, hang out, and definitely not read or do math. The parents were beside themselves, worried for the future ahead. For about a year and a half, this child did okay with math, but still did not know the lower multiplication tables at the age of nine. Reading came very slowly: mostly because the student’s mindset was that “there weren’t any interesting books” or they were “too hard.” We heard about battles at home to get the child to read. The family and school together decided to try methods like reading stories and chapters books aloud to the children, having that child read easier books to the younger students, and focusing on material that was personally very interesting. Rather than pushing the child to read with reading logs or reward charts — we don’t use those here — we stepped back, providing more opportunities to create a positive relationship with books, reading, and visits to the library. Suddenly, we saw a reading groove happen! 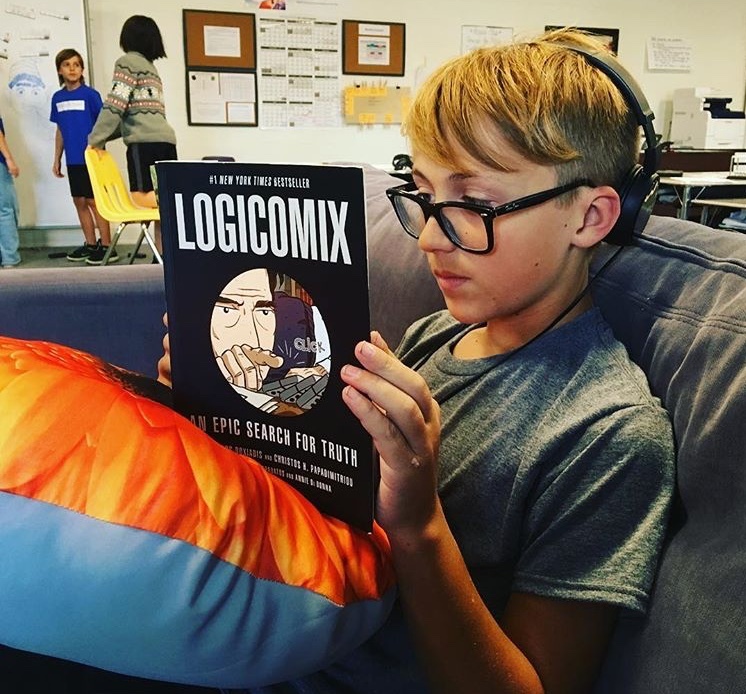 Following the child’s lead, graphic novels lead to chapter books, with the family committing to continue to read together. Now this young person has a book on the go and even asked for a particular book from the store! It’s fairly common to see feet waving in the air as this child who likes to move is reading happily, upside down on the Studio’s sofa. Our program has freedom levels, which are levels of achievement the children can reach to give them certain fun benefits at the end of a very productive week. One of those benchmarks is called, Soaring. This child was continually upset that the Soaring goal was not being achieved each Friday in the past — but you should see what is happening now! What I find remarkable is the difference we can see in a specific child within a few months! In previous weeks, shoulders slumped, the comment usually was, “No, I don’t get free-time Fridays today, I didn’t make it into soaring… again.” As an example of where this child was at, the Level Two Math Badge, a Studio Requirement, was completed about a year after most others had finished it. Friday is the day that Soaring really counts as this is the day when the kids get to enjoy the rewards and benefits of the week’s hard work which went into their Soaring achievement. All this time, we could see this child was very bright and quite clever; the motivation to dig into learning just wasn’t there. Then a switch flipped on. Something shifted. I’m excited to let you know that this child has made it into Soaring now three weeks in a row! The amount of math being completed has more than tripled each week and tougher books are being chosen from the library. What happened?! How did slow motion progress turn to eager learning? We didn’t push. We encouraged. We provided this child here with soft-skills coaching, as we do for all children. But mostly if I have to put my finger on what occurred, I believe it rests on the fact that we have consistently demonstrated that we care for this child. We are persistent in communicating that each child matters and that we believe that all children possess great capabilities. We can do this in our micro-school environment where our class sizes are very small. It’s pretty incredible to watch that switch get flipped on in a child! At a recent open house, I was talking with a family who was seeing our school for the first time. They showed interest in registering their two young children, and one parent said that our ability to follow the child’s lead in their learning was what made the difference for them. 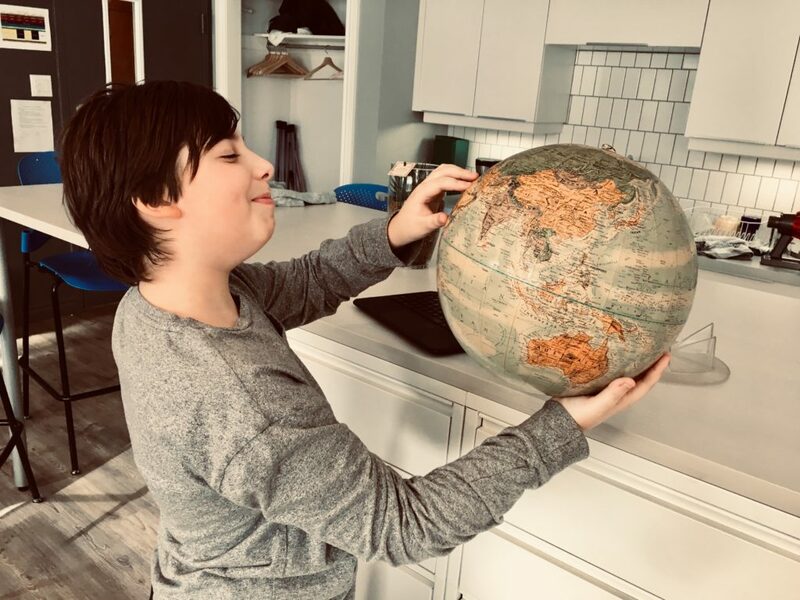 Some of the children here complete two grade levels worth of programming in one year without any prompting and some need some coaching every day to establish goals and really reach for those in order to get their educational mojo going. The incredible thing is that these different approaches can happen in the same learning environment. The students here have individualized learning modules and are not required to learn the same material at the same speed, as is the case in traditional school. In addition to feeling encouraged, this is likely one of the most pivotal factors in the children’s performance and learning. Maybe that learning happens in hard skills like critical thinking or softer skills such as feeling good about who they are or how they learn certain things, such as math, with ease. However progress occurs, it need not come as a grade in a report card or knowing how to long divide; it might happen with a realization that the child loves coming to school each day. And we need to be okay with that and trust that if they keep loving it and keep coming, that they’ll dive in when they’re ready.